It’s not just Wisconsin. After Michigan Republicans had their worst statewide wipe-out since 1938, the profoundly (and illegally) gerrymandered GOP State House and Senate have launched a smash-and-grab attack on our democracy, our workers, our wetlands and — even! — our puppies. “It’s the worst I’ve seen,” said Mark Brewer, former Michigan Democratic Party Chair told the GOTMFV Show. In November, Michiganders voted to give themselves much easier access to the polls with historic set of ballot reforms that go into effect in 2020 and an independent redistricting committee that will decide electoral maps for 2021. Recognizing that their anti-democratic hold on the state is at definite risk, Republicans are doing everything they can to extend that hold and punish the voters who came out en masse to rip it from them. 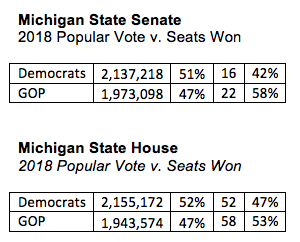 The Sore Loser Session of the Michigan House and Senate assaults on democracy will be challenged in the courts and, possibly, on future ballots, where the extraordinarily popular proposals voters wanted, like legal pot, are being gutted by extraordinarily unpopular Republican politicians. 1. Check out all the damage they want to do while no one is watching. First familiarize yourself with the GOP’s attacks on One Fair Wage, earnest sick time, public workers, the safety of the Great Lakes, wetlands, Props 1,2 and 3, power grabs from the Democratic women just elected to statewide office, and PUPPIES. Make sure your you call your State House and State Senate reps, if only to thank them for opposing all these unnecessary attacks on the state. Whether the Republicans’ ambitious lame-duck plans succeed will depend on the cooperation of outgoing Gov. Rick Snyder, who must decide whether he wishes to be remembered as the conservative accountant who brought order to Michigan’s fiscal house or the GOP apparatchik who enabled his party’s 11th-hour smash-and-grab. 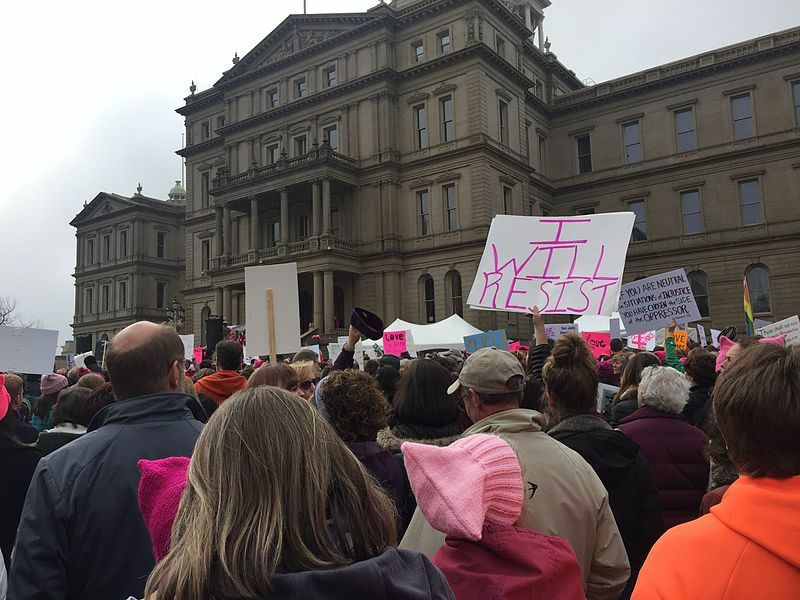 Call AND send a handwritten letter to Governor Snyder to kindly tell him to stand up for our democracy and to respect the will of the voters by vetoing these bills if they come to his desk. Describe why these issues are important to you and the impact that they will have on your life. Please be specific to each piece of legislation. You can reach Governor Rick Snyder by telephone at: 517-373-3400. 3. Go to Lansing, if you can. There’s a protest on Tuesday December 4 from 9:30 AM to 12:00 PM. If you can make then it, great. But any time you can be there is great and people are carpooling there now.